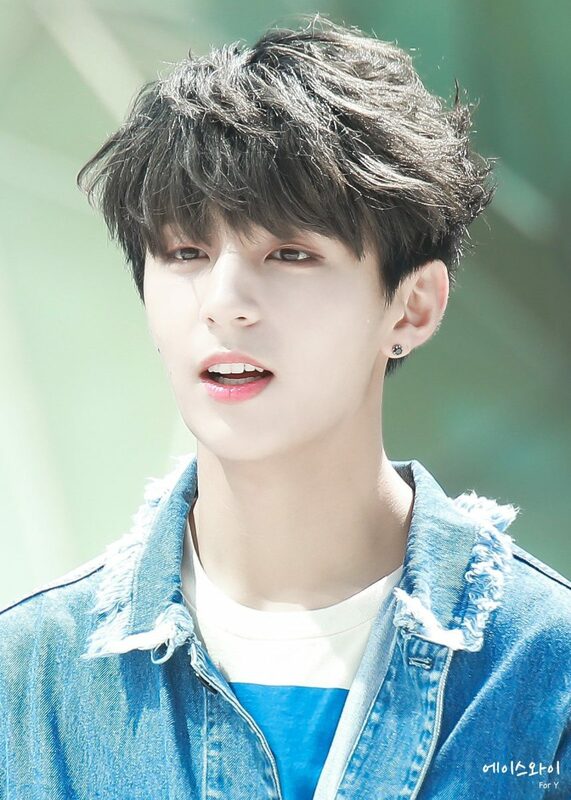 The hair police is here and you’ve been busted! 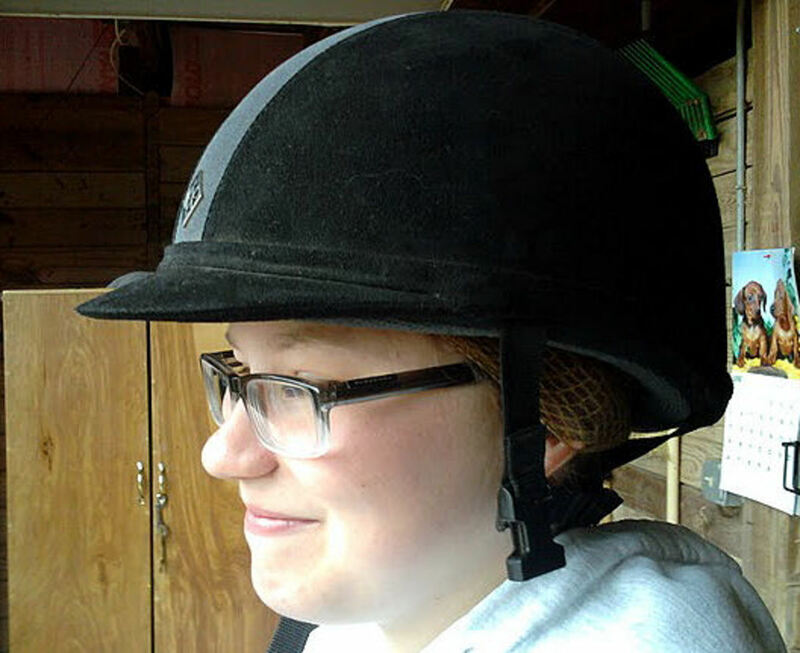 Please, step away from your horse, ma’am and get that hair up in your helmet! 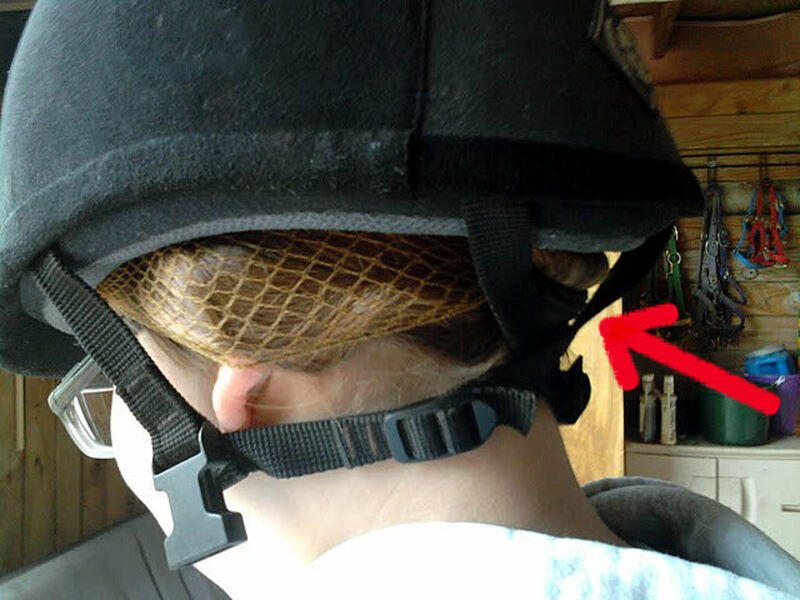 Even those of you with heavily layered, shorter hairdos can use this quick and easy method to confine your hair neatly under a riding helmet. Zip! Zip! Give it a try. 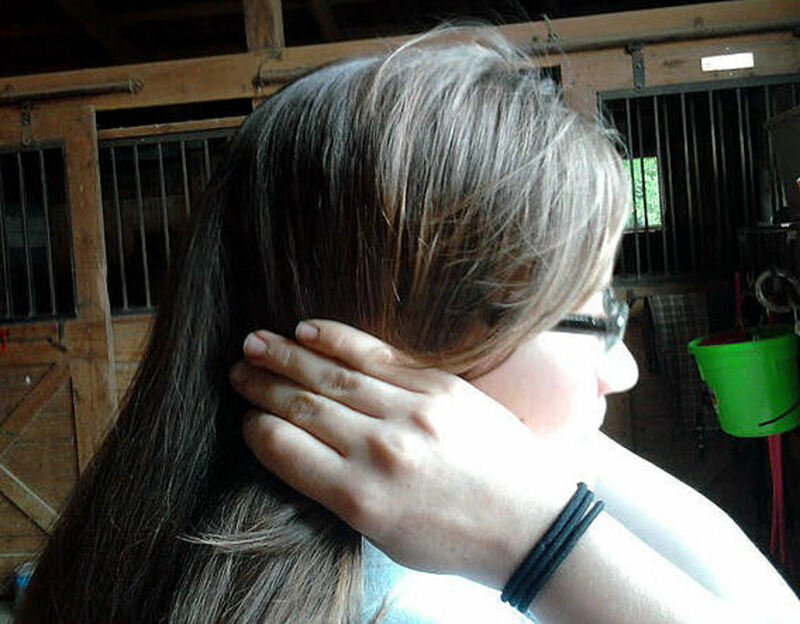 Finger-comb your hair straight down over your ears. 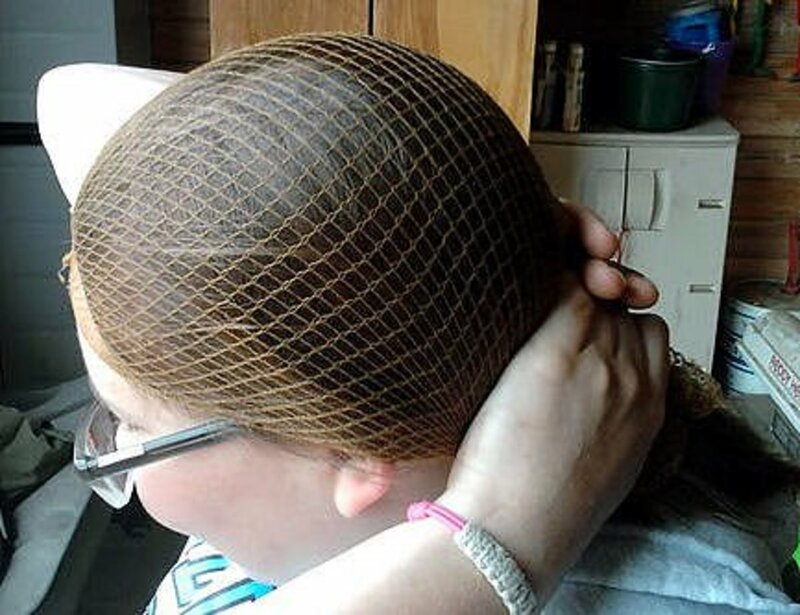 Slide the hairnet over your head. Make one knot on the forehead just above your brows and one at the back. Trust me! 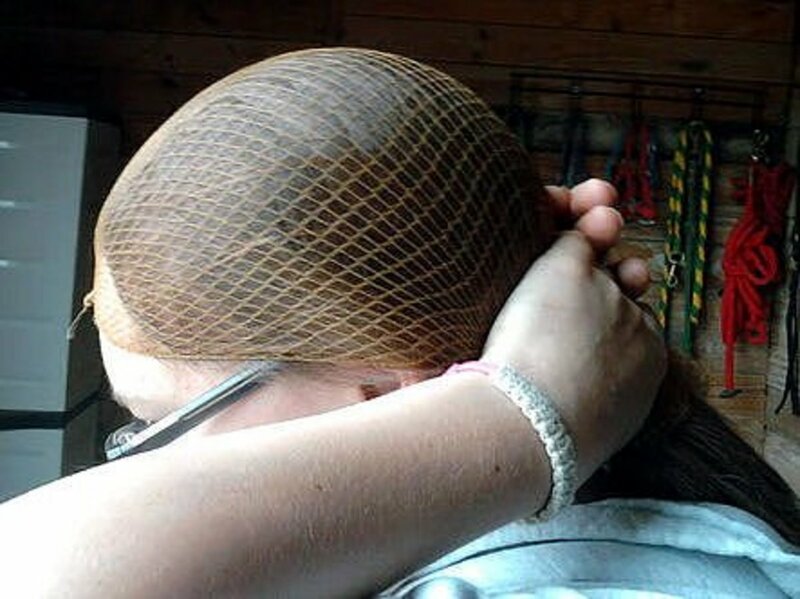 Pinch just the elastic strand of the hairnet and pull it below and behind both ears. 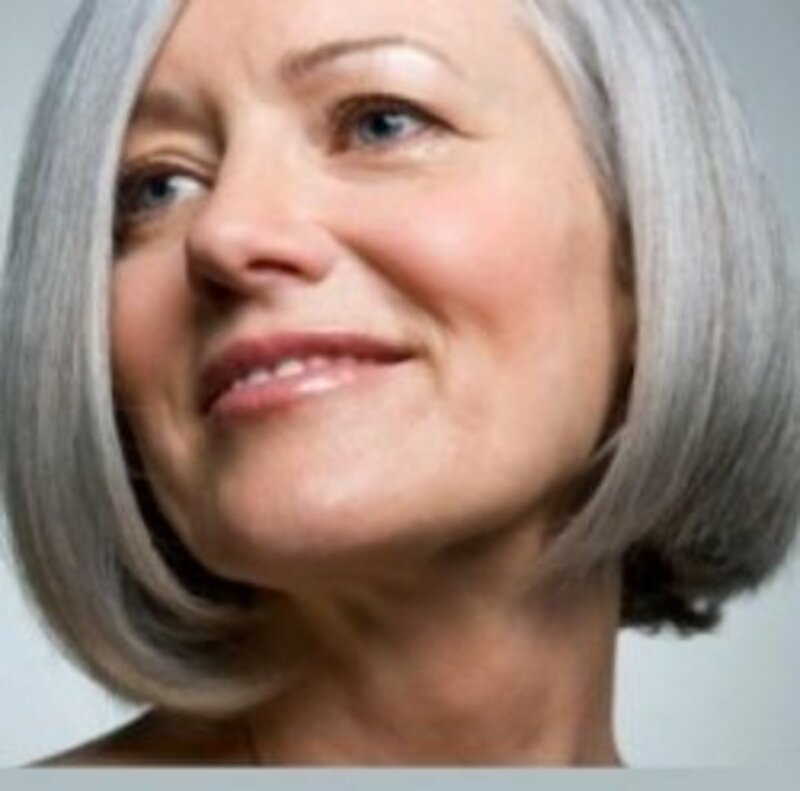 Pull the elastic taut by sweeping your hands under your hair at the nape of your neck. Keeping all of your fingers fairly flat to your face, gently glide your thumb under the hairnet at the front of your ear. 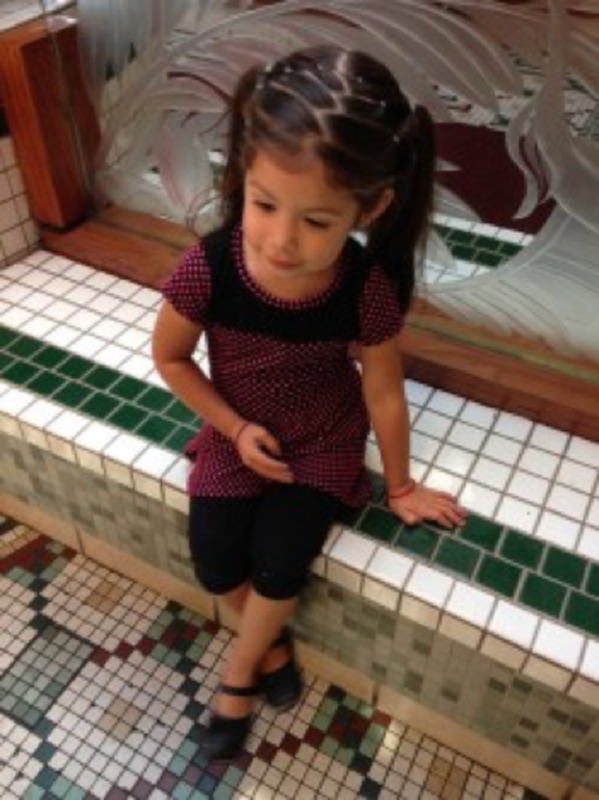 Pinch some of the hair and pull it down a little to cover the top half of your ear. Small earrings can help to anchor the hairnet elastic. If your ears still show through the hairs, you can smooth and encourage the hair to slide down over the ears with a firm petting motion on the outside of the hairnet. 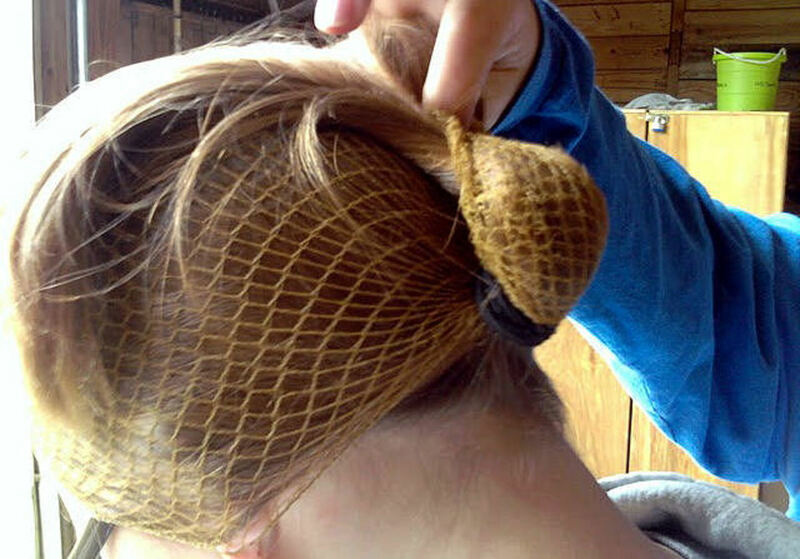 Avoid picking at it with your fingertips or the hairs will pop out of the ponytail and the hairnet. 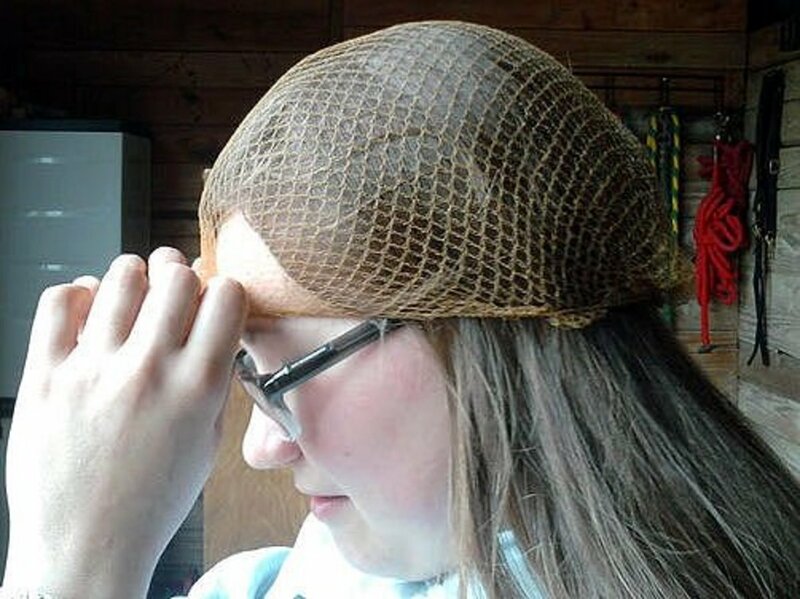 Now you can carefully push the knot of the hairnet up from your forehead and onto the hairline. Push it beyond where the helmet brim will finally rest. Flip your head upside-down and slightly fan the loose ponytail hairs out over the top of your head. This helps your helmet lie flat and it will not bobble. 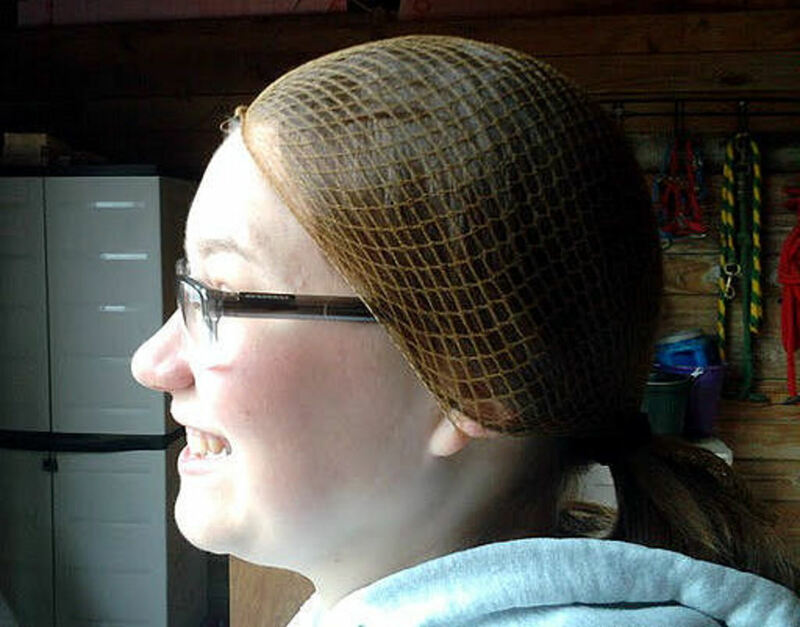 If you have short spikes coming out of the ponytail, you can simply swing the flap of the hairnet over them, as pictured. Put your helmet on from back to front, capturing just the loose ponytail and making sure the hair tie remains outside the shell of the helmet. Grasp the beak firmly. Lift the helmet out from your face and slightly upward. Shove any spare parts up inside helmet at your forehead. Then pull the helmet out and down. This will ensure you do not disturb the sides or back. Piece of cake. Now if only riding were this easy! After using this method just a few times, it will take you less than one minute to achieve a gorgeous and tidy appearance for horse shows, lessons, or even a relaxing trail. Believe me, you can even do it without a mirror. Hair was traditionally worn this way to keep from being caught up in tree branches on a fox hunt. Ouch! 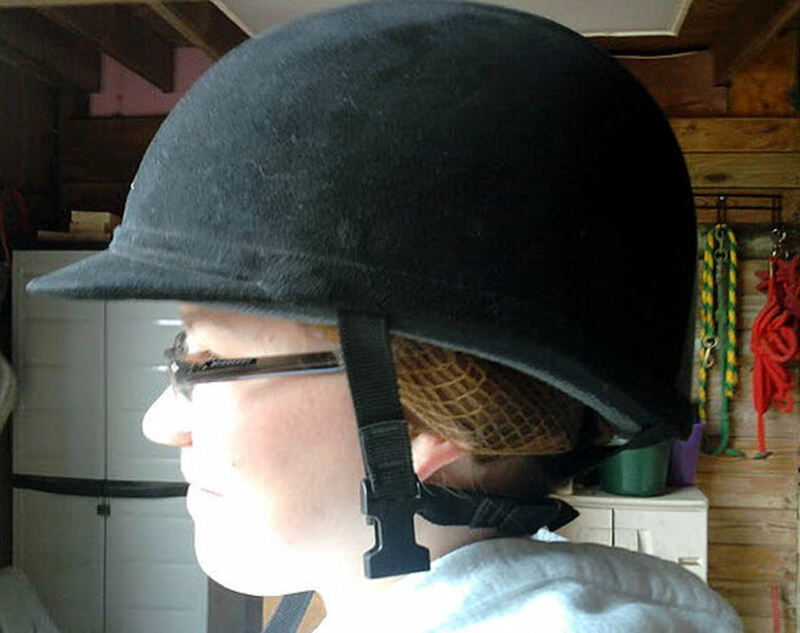 The hairstyle tends to stick to the hairnet and not so much your helmet, making things much cheaper to replace. 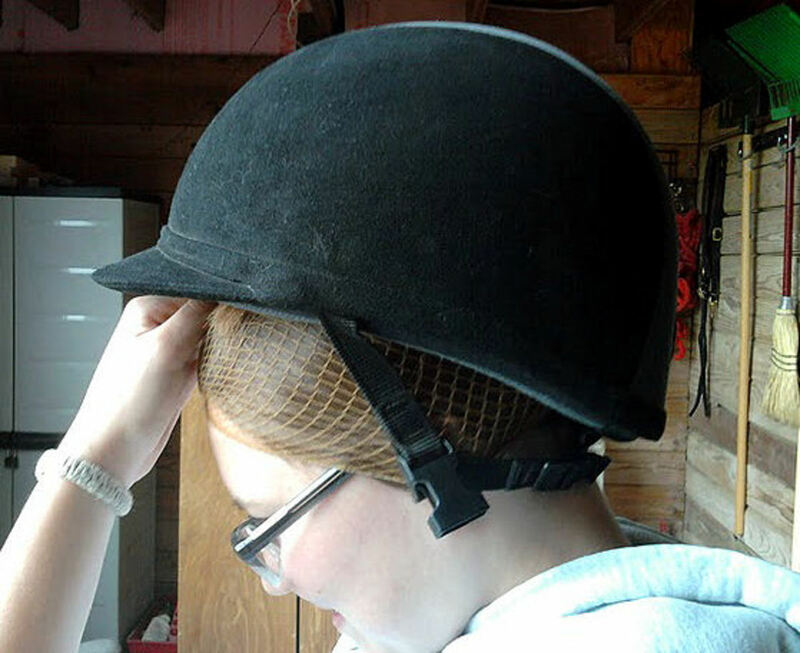 It’s always fun to look like a lunch lady wearing your stylish hair net in the barn! Great article. I am always looking for tips to make things go easier and less stressful at shows. Your illustrations Rock too. Easy to understand. Thanx Suzanne! Thanks bluestar! I'm not so much into competing anymore either, but I do enjoy helping people to compete. 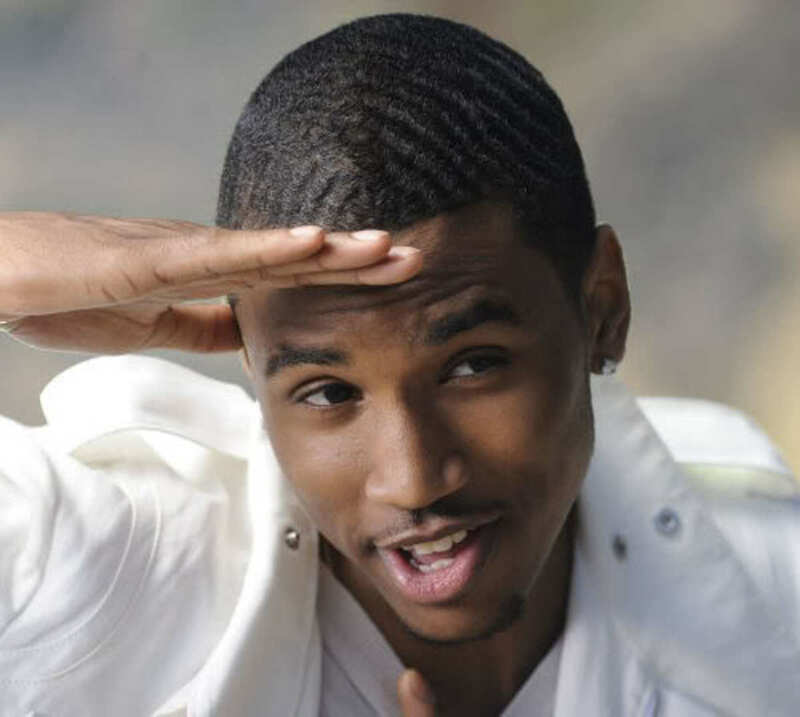 I look forward to reading more of your hubs. I really like short stories and am working on writing children's books. My very first horse was an appaloosa and I still to this day have a soft spot in my heart for them. :) Thanks for reading!